As Democratic candidates argue against President Trump that there is no national emergency due to illegal alien narcotic trafficking and other crimes, it is important to remember that one candidate is all too familiar with the violence caused by Mexican drug cartels. 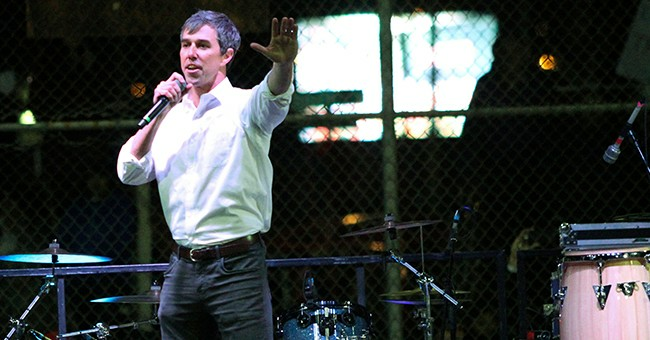 Then known as El Paso city Councilman Robert O'Rourke, the Texas native suggested a decade ago that the United States had to legalize drugs such as cocaine and marijuana in order to stop the killings and brutality plaguing his hometown daily. Today, he still holds this view on drugs but argues that the violence does not exist anywhere at all on the border anymore. "We feel the violence every day," O'Rourke told CNN on March 20, 2009 . "The cartels control [Juarez], and that spills over onto the U.S. side." "Decriminalizing drugs would take away a lot of the financial incentive for the cartels to kill. The violence would go down," he argued. The rising violence has prompted people like O'Rourke, and now Arizona Attorney General Terry Goddard, to examine all options. "We are not winning the battle," Goddard said at a congressional hearing this week in Washington. "Sixty percent of the battle is marijuana." As noted by CNN, Beto felt that border security was something he believed we needed to have a national conversation about, including the war on drugs in that discussion. "To O'Rourke, a rational discussion translates into an honest conversation about possible solutions to the drug war, even if that means decriminalizing drugs such as marijuana and cocaine." He even rebuked critics by comparing legalizing drugs to ending prohibition of alcohol. "In 1932, people were making a big deal about prohibition ending. They asked, 'What about the children?'" O'Rourke said. "What ending prohibition did was put guys like Al Capone out of business, and it helped our economy." "[Beto] said he believes that the border is already fully secured and that further investment would take it even further 'past the point of diminishing returns,' pushing migrants seeking to cross the border illegally into more dangerous and desolate territory. “You will ensure death,” he said of Trump’s proposed wall. “You and I, as Americans, have caused the deaths of others through these walls.'" But as noted by Breitbart's Brandon Darby who has long been covering the issue places along the US-Mexican border are indeed safer where there is a wall, including El Paso. "Well there are some places along the border that are safe like El Paso,” Darby stated. “They are safe because there is a wall, there is already a steel barrier there. In contrast. in Ciudad Juarez, the Mexican side of the El Paso- Juarez Metropolitan Area … it is one of the most violent places on earth. If you look at the murder rates since 2009 there, it’s insane." In short, the debate can be had whether or not legalizing some drugs would reduce overall crime. But, the experience of those on the border, including Beto's own, prove that there is indeed violence occurring everyday because of these cartels and a porous border. Because of this, tt is disingenuous for any Democrat to argue America is secure.